Heh Heh Heh, Oh Boy Did We Just Pull a Fast One! 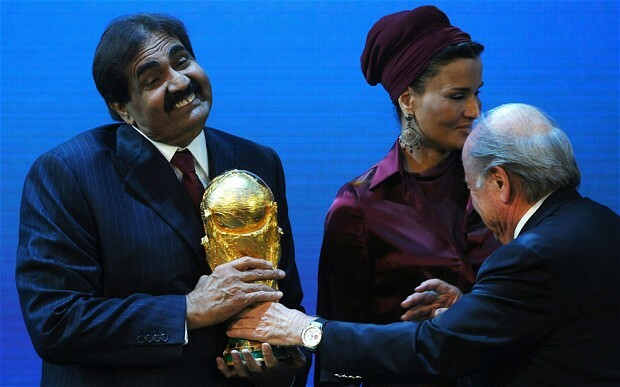 Qatar’s Emir Sheikh Hamad bin Khalifa al Thani and FIFA President Sepp Blatter after the announcement that Qatar will host the FIFA World Cup 2022, in this December 2, 2010 photo. Photo credit Laurence Griffiths/Getty Images. 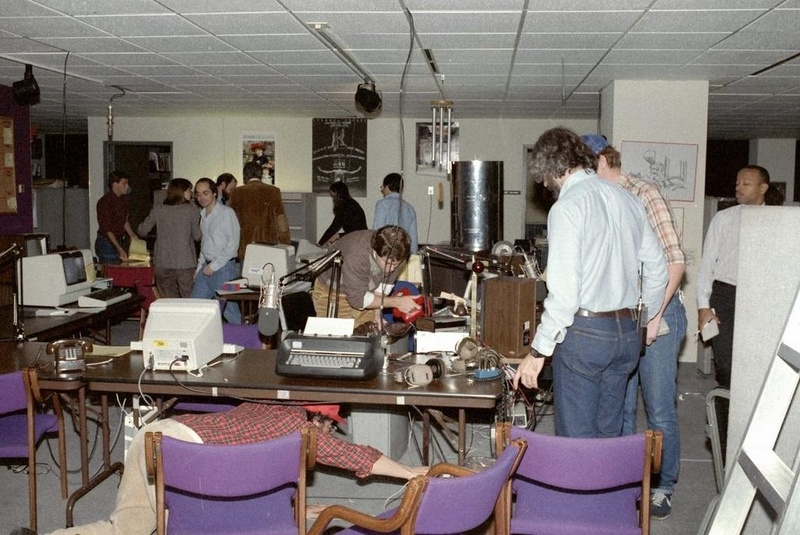 As someone in the radio business in 1984, I appreciate this photo of #NPR‘s election setup that year. Note the nice typewriter. Time to raise some ire. Based on strictly personal experience, here are some stereotypes that are sure to offend. All in good, clean fun. I think I’ll add more as they occur to me. Feel free to irritate your own chosen ethnicity in the comments. Germany: No excuse for the disappointment that is their food. India: Does luxury well. Wealth disparity allows this. High end more affordable for tourists than elsewhere. New Zealand: Permanent slightly perplexed look. Sunburnt. Buggy eyes. Pacific Islands: Collective motto: “Don’t hurt me please.” The ukelele and all its music is the cause of this. Paraguay: Important only to Paraguayans. Who are sweet and all, sure. Still. Scotland: Paternal. Strong men will take care of you. Like it or not. Ireland has some of this. Turkmenistan, whose leader is Gurbanguly Berdimuhamedow. USA: Groupthink. If you want, you can really think things through and work out what you think. But you have to do more than ‘like’ things on Facebook. Why bother? Your tribe’s news channel can think everything through and tell you. Vietnam: Wiry. Persistent. Shake hands with tight grip. Prim. Barefoot. … while practicing on his imaginary clarinet. Not a busy day on the beach. Find the lizard. And if you can’t, click through for the big reveal.